I have now filed my Illinois Appellate Court appeal of my wrongful conviction for aggravated battery of a correctional officer. Sgt. Anthony Salemi had attacked me, falsified his records, committed perjury, and with the help of Nifong-like prosecutorial misconduct of ASAs Andrew Dalkin and John Maher and extreme judicial misconduct by Judge Joseph Kazmierski, I was convicted and sentenced to two years in the Illinois Dept. of Corrections plus one year of mandatory supervised release. I served the minimum 6 months and the full supervised release and was not able to appeal due to illegal conduct of staff at the Cook County Dept. 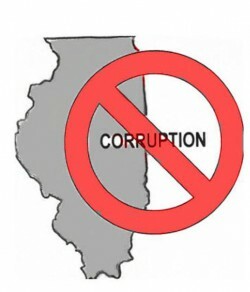 of Corrections and Illinois Dept. of Corrections where I was held and due to damage to my health requiring several hospitalizations within the last year since my release on March 27, 2008 from prison. The damage to my health was a result of torture at the CCDOC and IDOC by ignorant, sociopathic, poorly trained officers and incompetent medical staff (with the exception of Dr. Baker). The social workers even told me they purposely were told not to allow me to use the law library. My medications were withheld in illegal acts of willful indifference to medical needs. I have informed the FBI and asked them to prosecute for felony conspiracy to violate rights under color of law, etc. I will never forget the comment to me at CCDOC by Sgt. Molevetti “We got you on one made charge so I can write anything I want and get you on another.” Officer Levy said the same thing. It appears that falsification of records is common practice at CCDOC. We need to take him down and jail him too! As soon as I win this one, the mother of all civil rights suits will be filed against these creeps. Any officer who has aided and abetted this wrongful conviction is a target in my book to be arrested, removed as an officer, and jailed for felony conspiracy to violate rights under color of law under federal law. I strongly suggest that ANY officer or CCDOC staff who has knowledge about this wrongful conviction march over to the FBI on Roosevelt Road, ask for a duty agent and confess and turn in the corupt officers and sergeants. The time is NOW to clean up the CCDOC and get rid of decayed and dead wood! If you don’t turn them in, you are part of the corruption and are condoning it! I have no sympathy for you! Note that the appeal exceeds the 50 pages allowed by the Appellate Court. I have written a motion for leave to file this 82 page appeal due to the extreme prosecutorial and judicial misconduct resulting in 18 different issues justifying appeal and overturning verdict. Note that the appendix has case law on spoilation of or failure to produce critical evidence, self-representation, and insufficient indictments – all what I have already posted on this site elsewhere.